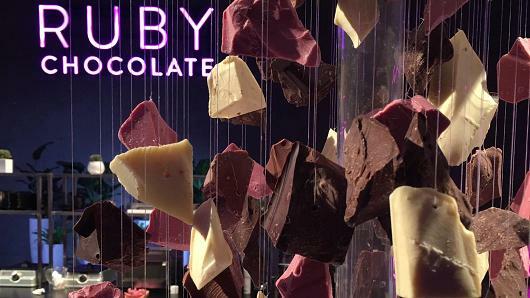 LONDON: Switzerland, a country famed for its services to chocolate, has unveiled a new iteration of the sweet stuff called “Ruby”. The pink hued chocolate, launched Tuesday, is the fourth type ever to be created and comes 80 years after the launch of White chocolate. ‘Ruby’ chocolate is characterised by a “fresh berry-fruitiness” and a distinct colour, which distinguishes it from its predecessors, Dark, Milk and White. It is made from the Ruby cocoa bean, which has a distinct set of attributes to those used in other chocolates, and is the result of several years of testing by Barry Callebaut. 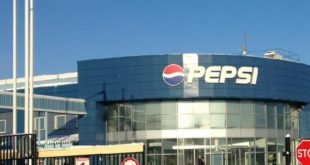 The product does not contain any berry flavoring or coloring, but the launch comes at a time when confectioners are under increasing pressure as consumers demonstrate a shift towards healthier alternatives. Global chocolate market volumes declined 1.5 percent in 2015 and 0.4 percent last year, according to Euromonitor. 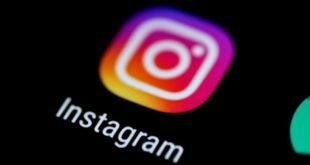 However, Peter Boone, chief innovation & quality officer at Barry Callebaut, said that ‘Ruby’ chocolate responds to growing demand among younger consumers for luxury products. Barry Callebaut, one of the world’s biggest suppliers of chocolate and cocoa products, does not sell directly to consumers but provides goods to chocolate makers internationally. This means that ‘Ruby’ chocolate will not be available in stores for another six months or so, but it is likely to take many forms once it is. 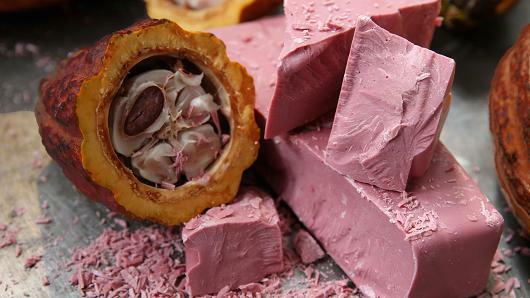 “We’re looking forward to working with our partners on introducing this innovative breakthrough to the market and making the new Ruby chocolate category available to chocolate manufacturers and consumers around the world as the fourth reference next to Dark, Milk and White chocolate,” noted Boone in a press statement.